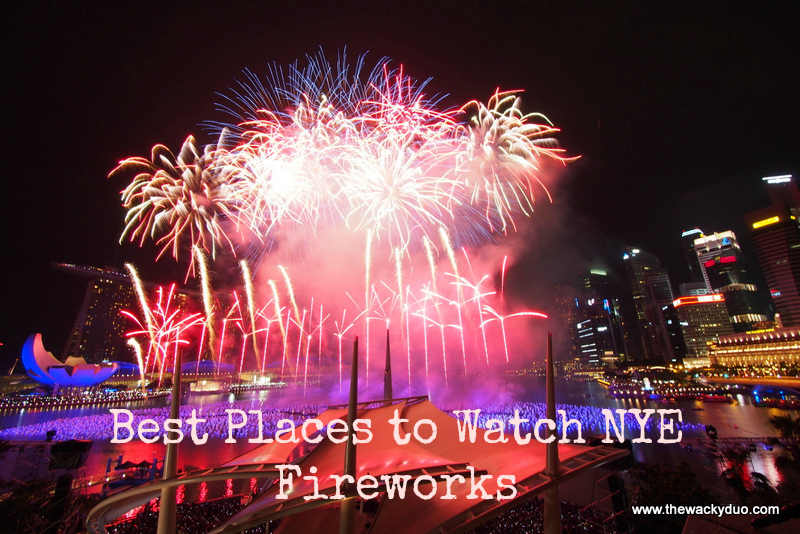 Guess where is the best place to catch the Fireworks in Singapore? Here are 6 options to consider if you intend to catch the Fireworks Live. This year's Fireworks display will be 8 Minutes long and will start at 00:00 Jan 1st 2016! The best spot to watch the fireworks will be from One Fullerton, Merlion Park or Jubilee Bridge. You will have the best seats in the house. The Fireworks is literally just in front of you. Take MRT from Raffles Place Park at One Fullerton, Fullerton Hotel or offices along Battery Road. Next place to be would be at the Esplanade . You will probably see the fireworks at an angle, but it is just as spectacular. 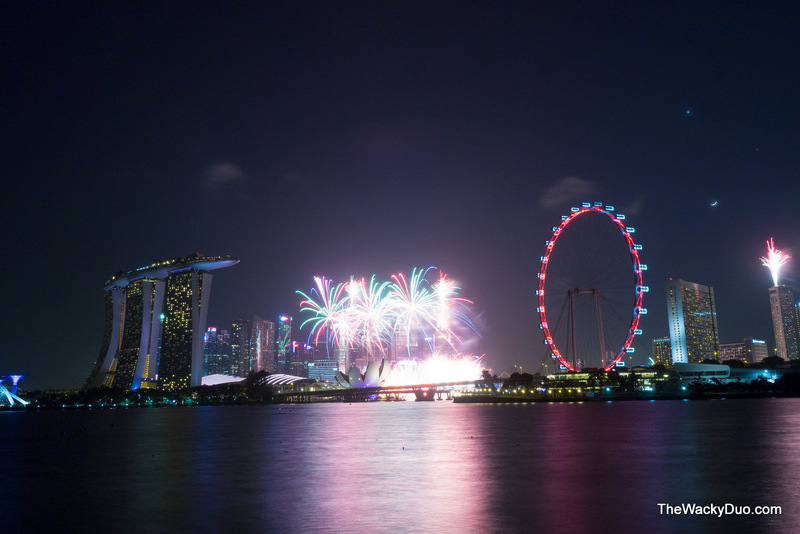 Check out our views from the Esplanade during our stint as Singapore Countdown 2013 official blogger. Roads around the Esplanade will be close during this event. If you are lucky enough to get tickets to the New Year Eve Countdown party at the Float (Celebrate 2016), it is one of the best place to catch the fireworks. You have your own seat, get to watch a concert and see Singapore famous skyline as your backdrop for fireworks. A little further away will be at the Promontory or the Lawn@ Marina Bay. You will still see all the action from this angle. If you are on a higher ground (eg Marina Bay Financial Center) , you would probably have the best view to see ALL the fireworks around Marina Bay and Padang vicinity.We reckon Level 33 is a great spot to hang out during the fireworks if you do not have office access to MBFC. Have a picnic at Gardens By the Bay or Marina Barrage while enjoying the Fireworks.The fireworks may not be as spectacular but you can still spot it depending on your views from the Garden. Stay away from the bustling crowds and have a picnic at the Gardens. Here you can capture the skylin of Singapore in its glory. Do be there early as parking is limited and you might end up getting trap in a jam rather than seeing the actual fireworks! While you are down to catch the Fireworks , turn your eyes to Fullerton Hotel.The facade of the Fullerton Hotel comes alive with light and colour with a digital art showcase that looks ahead into a vibrant, dynamic new year. This show combines vivid imagery and intricate textures to highlight the architectural features of this national landmark and evoke a sense of beauty and grandeur. The display will culminate in a spectacular countdown sequence on New Year’s Eve. Have a Blessed New Year ahead!